The suspect, a 19-year-old male, was considered "armed and dangerous," according to the city of Mount Pleasant's Twitter account. 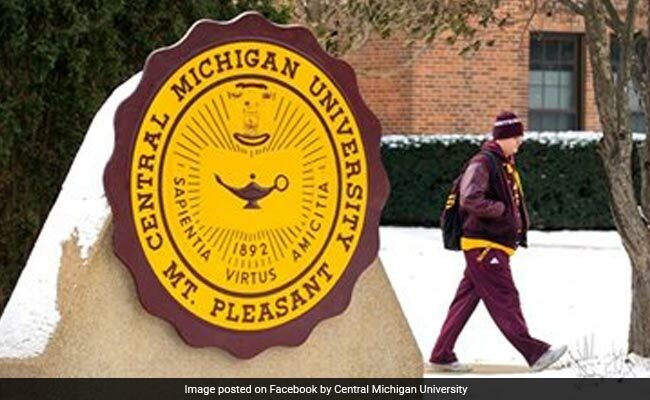 Shots were reportedly fired at Campbell Hall on the Central Michigan University campus. Chicago: At least two people were shot dead in what appeared to be a "domestic dispute" at a dormitory at Central Michigan University on Friday and police were hunting for the gunman, school officials said. The university, located about 125 miles (200 km) northwest of Detroit, said two victims, who were not students, were fatally shot at the residence, which houses male and female students. It identified the suspect as 19-year-old James Eric Davis Jr. The university said no others were injured by the gunfire. "Police believe the situation started from a domestic situation," the university said in a statement on Facebook. Parents and others expected on campus on Friday to pick up students for spring break were told to stay away while the suspect was at large. State police officials did not immediately respond to calls seeking comment. Davis was considered "armed and dangerous," according to the city of Mount Pleasant's Twitter account. Campus police were investigating the incident along with local and state police, according to university officials. Police in patrol cars and helicopters searched for the gunman around an area of apartments just north of the campus, according to video posted online by reporters on the scene. The United States Bureau of Alcohol, Tobacco, Firearms and Explosives said on Twitter it was sending special agents to assist. "The priority right now is the safety of those still on campus and I thank all first responders involved for their swift action," Michigan Governor Rick Snyder said on Twitter. The incident came about two weeks after 17 students and educators were killed by a 19-year-old gunman with an assault-style rifle at a Florida high school. Central Michigan University is a four-year, public institution with more than 23,000 students enrolled, according to the college's website.